New Moms — Northern VA Newborn, Maternity, and Family Photographer serving Ashburn, Leesburg, Purcellville, & Loudoun Co. I am so incredibly happy for you to experience the joys of motherhood! This is such a special time and expecting a cute little bundle of joy is a time of great celebration! I'd love to be a part of this exciting time. Please keep scrolling through for more information on maternity and newborn sessions! I know what it's like to be a mom looking into the eyes of the most scary, amazing, joyous thing ever and you will see this translated in my work. I pride myself on capturing the real moments that you will never want to forget. When I think back on my own children's first days home from the hospital, it is all a blur. I blinked and they had grown out of newborn clothing. It's not just their tiny features that I miss. Those moments with your newly created family. The new sibling bonds. The nursery decor you worked so hard on. How small your baby looks in your arms. In my work, I focus on the connections and love surrounding the arrival of your new baby, the beautiful story of your life right now in an artistic and polished way. You will be able to look back on these images and be transported right back to this time and this moment. I take a lifestyle approach (real/authentic/storytelling) but also incorporate baby-led posing for a few clean and classic newborn portraits that will round out your gallery and stand the test of time. Please take a look at some of my newborn photography and if my style matches your vision, please contact me today to book your session! Ready to book your newborn session? Hey there, mama! I'm so glad you are thinking about maternity photos! You deserve it! What greater miracle is there than that of your body creating, holding, growing, and nurturing a new life inside of you? But let me ask you to think about it this way.. Wouldn't you do anything for your child? Of course I know the answer is YES! 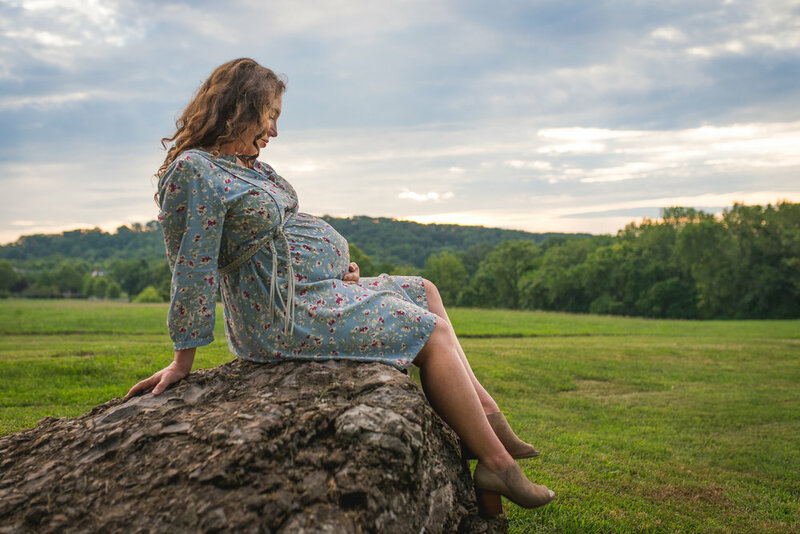 Maternity photography is such a wonderful gift to your child. Your baby won't be able to remember this on his or her own. Help keep the memories alive. Take the leap to be in the photos so you will both remember the amazing miracle that your body is performing. I will be sure to pose you in flattering ways so that you will look back on these photos feeling beautiful and proud of your body and the gift you are giving your child. When they ask you, "Mommy what did I look like when I was in your tummy?" you can show them! Please take a look at some of the maternity information below. If my style matches your vision, please contact me today to book your session!